Having a brother is a blessing. He is there with support, love and a big hug when you need it. 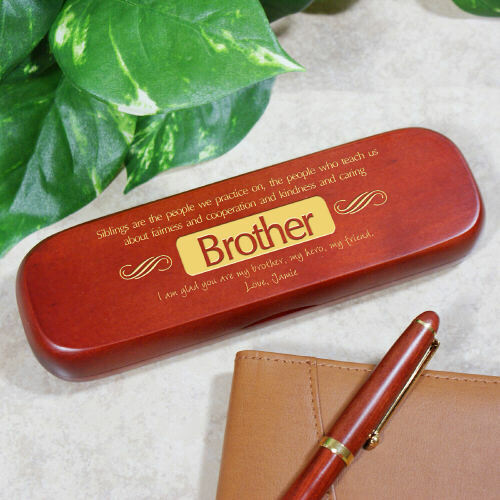 Honor your big or little brother with a Personalized Brother Pen Set. A handsome, personalized gift made especially for him by you. Additional Details Are you searching for that perfect gift for your Brother? GiftsForYouNow.com has the perfect collection of Personalized Gifts for Him. We can create a handsome gift he is sure to love with your personal sentiment, wishes and words of appreciation. Shop GiftsForYouNow.com today for all your Personalized Gifts for Him.